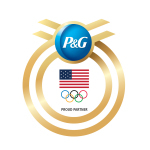 "The Rio 2016 Olympic Games is one of the most anticipated events of the year, and we invite all of Chicago’s residents to come out, celebrate its kick-off and join team Quicker Picker Upper"
CINCINNATI--(BUSINESS WIRE)--On the day of the Opening Ceremony, Bounty – the Quicker Picker Upper and sponsor of the Rio 2016 Olympic Games – will host Quicker Picker Upper Games at Pioneer Court Plaza in downtown Chicago. The event will be open to the public. Chicago residents will have the opportunity to virtually race against Bounty partner, Olympic sprinter and four-time gold medalist Allyson Felix via green screen and test their clean-up speed in a variety of fun, interactive games and relay races. Winners of these races will receive prizes and become official members of Team Quicker Picker Upper. Event attendees will also get to show off their spirit for the Olympic Games at a sign and t-shirt-making station. Bounty kicked off its Rio 2016 Olympic Games sponsorship by teaming up with Felix. Together, they encouraged Americans everywhere to tweet their tips for cleaning up spills and messes with Bounty in record time using #quicktip and #promotion. Bounty pledged to donate $1 for every tweet to the Community Olympic Development Program (CODP), a U.S. Olympic Committee program committed to helping American youth receive the best sports development services possible. At the Chicago event, Bounty will present a $10,000 check to a representative from the USOC’s CODP program. People across the country can visit Facebook.com/Bounty or follow Bounty on Twitter at Twitter.com/Bounty to learn more about Bounty’s sponsorship of the Rio 2016 Olympic Games. Bounty has been America’s most popular paper towel for more than 30 years. In the U.S., P&G offers the following premium two-ply paper towel products: Bounty Select-a-Size; Bounty White; Bounty Extra Soft; and Bounty Fun Prints. Additionally, P&G offers Bounty Basic, a quality one-ply paper towel, and Bounty Quilted Napkins. For more information on Bounty, visit www.facebook.com/bounty. P&G brands are committed to giving moms the best, each and every day. Not just moms of Olympians, but all moms, all around the world. As a Worldwide Olympic Partner, when P&G brands like Tide, Gillette and Pampers partner with athletes on their Olympic Games journey, P&G also recognizes the mom who supported them every step of the way. 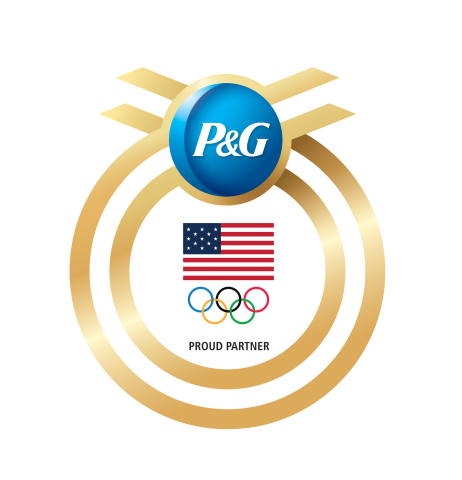 For the Rio 2016 Olympic Games, 18 P&G brands in more than 35 countries will activate the Company’s Olympic Games campaign through TV and digital content, in-store displays, public relations and social media. Founded in 1894 and headquartered in Colorado Springs, Colorado, the U.S. Olympic Committee serves as both the National Olympic Committee and National Paralympic Committee for the United States. As such, the USOC is responsible for the training, entering and funding of U.S. teams for the Olympic, Paralympic, Youth Olympic, Pan American and Parapan American Games, while serving as a steward of the Olympic and Paralympic Movements throughout the country. For more information, visit TeamUSA.org.